Separated at birth — or fresh off the photocopier? And speaking of copying, some readers were confused when I said a leaked shot of the “Prologue” synth from Cubase SX4 was … inspired … by Logic Pro’s Sculpture. But, then, I’ve spent a lot of time staring at Sculpture programming sounds. Maybe it’ll help if you see them on the same screen. Note the unique curvature of the raised background, the faux-silver knobs, and the exactly-copied effects switches. The knobs alone I’d say were both copying hardware, but the particulars of the switches and the background are just too specific to be accidental. Then again, after seeing the Mono Touch, I have to give Steinberg credit: at least Prologue is just ripping off individual elements, and admittedly on an entirely different synth, though it’s still … uncanny, shall we say? 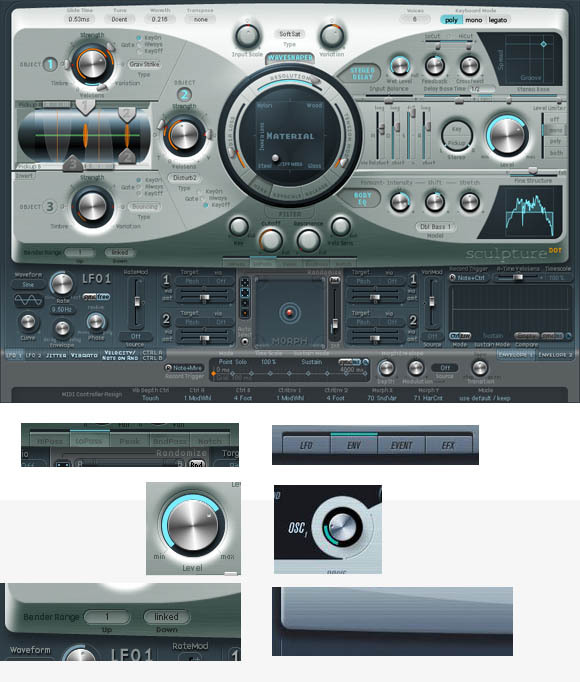 Sculpture from Logic Pro, top, and — in case you’re having trouble telling them apart — at bottom left, elements from Sculpture, and bottom right, elements in Prologue. 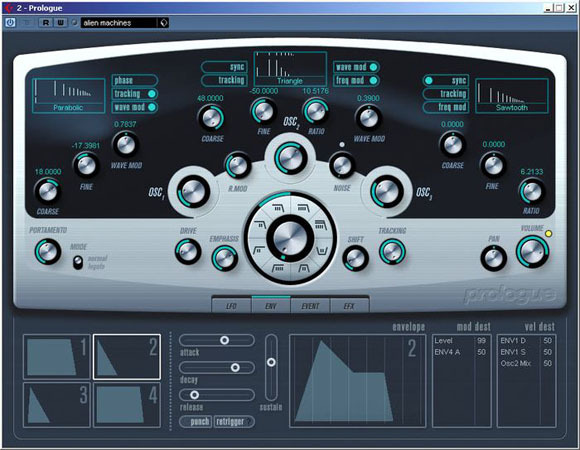 Maybe Prologue’s designers are Logic users?